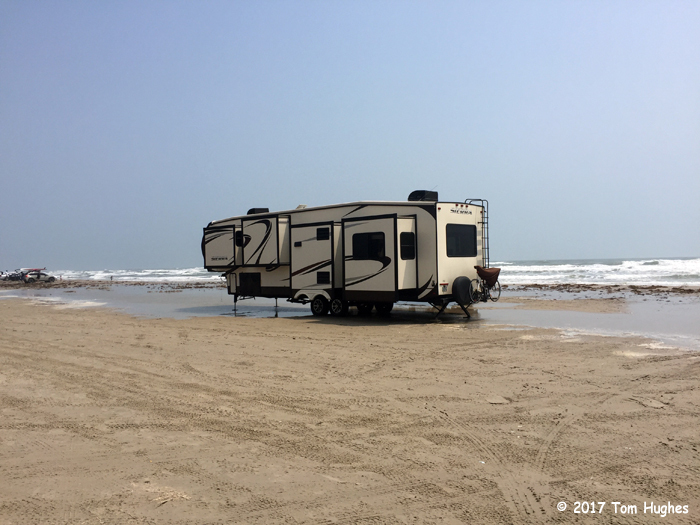 Add Padre Island National Seashore to your bucket list. It’s mile after mile of sand-duned ocean shoreline. 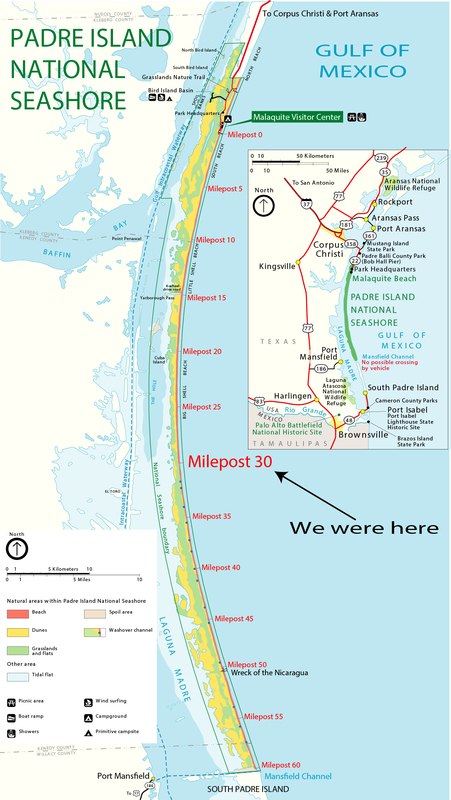 Along with two campground friends, we Jeeped to Milepost 30 (of 60!) on the beach. 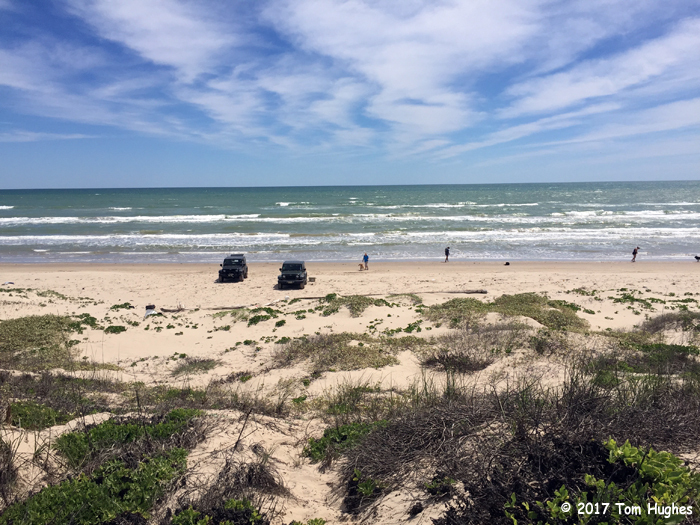 Because you can only drive slowly on the beach, it took us 2 hours to get from Port Aransas (which is on Mustang Island) to Milepost 30 on South Padre Island. But what a drive! At times it was like being in a post apocalyptic movie like the Walking Dead (actually Fear the Walking Dead) TV show sans zombies . . . nobody around except the birds. Here’s a list of the birds that visit the area (PDF). It was a big day for Flirt too. It was the first time we let her go without a leash. She wagged her tail continuously. I added a list of the birds that visit the area. Gulls with a black head are Laughing Gulls. The larger black birds are cormorants. Of course the brown pelicans are spectacular!